Meet Mr Grinling and his wife. 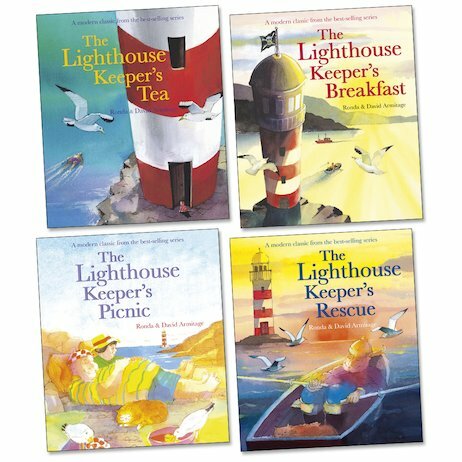 They live somewhere very exciting – a lighthouse! But in spite of the luscious sea views, life for the Grinlings isn’t always easy. Whether it’s the problem of Mr Grinling’s growing waistline or being kidnapped by pirates, every day brings new dilemmas and tangles for them to solve! These classic seaside picture book tales are great for enjoying alone or together. The intricate, beautiful artwork is crammed with captivating details, while each lively plot offers plenty to think about and discuss.